The Texas High Plains is under extreme drought and if current conditions continue, producers need to make important decisions for summer crops, said Dr. Jourdan Bell, Texas A&M AgriLife Extension Service agronomist in Amarillo. Fortunately, the region’s extended precipitation forecast is improving, she said. The National Weather Service Climate Prediction Center is now predicting the region will have equal changes of above or below average precipitation. Many producers are having to pre-irrigate, so they can have sufficient moisture in the seed zone to germinate summer crops, she said. Under dryland situations, producers are having to decide if they are going to postpone planting. The Texas High Plains is dependent on winter precipitation in the form of snowfall to build up soil moisture during the fallow period, she said. Across the region, negligible snow fell this winter and rainfall has been anywhere from less than a tenth of an inch to about 3/10s of an inch for the entire winter. “On the bright side, we are very fortunate because we had very good early fall precipitation, so in many areas we still have good subsoil moisture,” Bell said. She estimated under no-till and especially under good residue, soil moisture may be 4-6 inches deep; under cultivated or tilled ground, subsoil moisture may be 8-10 inches. 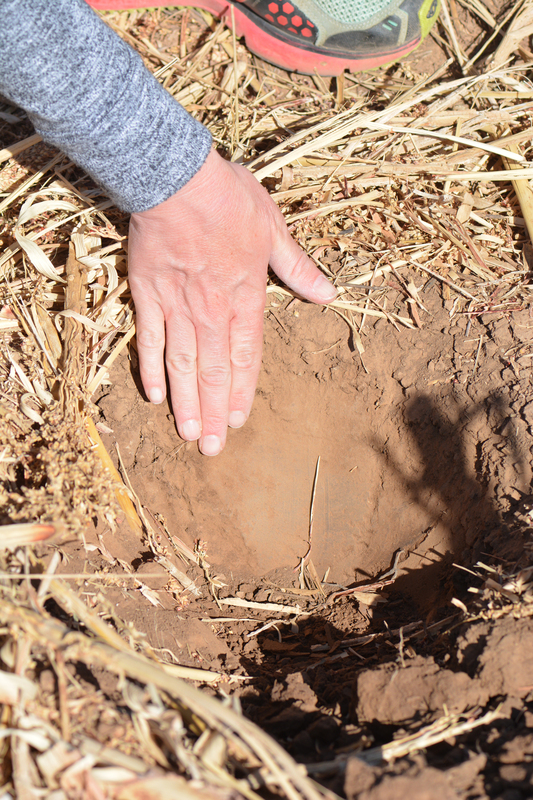 That subsoil moisture also allows dryland producers to gauge precipitation in the forecast to determine if it will give them enough moisture to plant on, she said. The primary crops grown in this region under irrigation are corn and cotton, she said. As producers evaluate the forecast and probability of precipitation, many are opting to split irrigated acreage between corn and cotton so they will have sufficient water to meet critical crop water demands throughout the summer. “For crop insurance purposes, corn needs to be planted on or before June 5 for counties in the Texas High Plains, but planting later in June shifts the critical water demand period of tasseling out of some of the hotter periods of summer,” Bell said. For grain sorghum under both irrigated and dryland production systems, producers do have flexibility with planting dates, she said. Another challenge producers may have, especially under dryland conditions, is herbicides, she said. In some years, sufficient precipitation is not received to activate some of the residual preplant herbicides. All these decisions can be tricky because producers often have made their seed selection months ago, she said. So moving into a dry period there might be some limitations on the decisions a producer can make. She said the High Plains often receives non-beneficial precipitation. Rain events may only measure a few hundredths of an inch or 2-3 inches may fall in a very short time and a large percentage of this runs off. Neither event benefits crop production. Traditionally the best rains in this region fall in May and June, and that offers hope for the coming crop season, in spite of the current drought, Bell said.